This means I'd actually have to buy a copy of the Daily Mail though... I'm afraid that's out of line with my personal morals! Thanks OP, I used this today to buy myself a new drill. For some reason my paper was £1.70, didn't know prices varied, maybe because it's a village shop and they seem to charge a bit more. Still saved an additional £3.30 though. [Insert political comment expressing my alliance to a certain party and slagging off an opposing party here]. If you had trouble with this offer complain to the Advertising Standards Authority. The Daily Mail has just been censured for the Marmite stunt they ran last October with Iceland - some stores had no stock at all in that promo. Plenty of availability at Ipswich but were behind the tills so you had to ask. 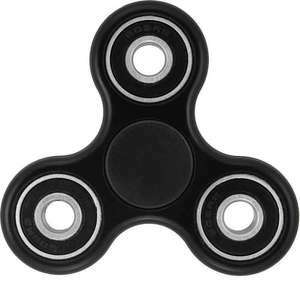 Free Fidget Spinners when you buy the Daily Mail so hurry only 50000 are waiting there. You enter a code and they will post it. Only this Saturday so hurry up. Everyone who hasn't received theirs should demand a full refund! Anyone booked Butlins this year? Looking at £200 including the passes at £25 each now?!! Eek!! We used to always remove passes as we barely used the entertainment anyway, but last time we went they were checking, and the kids would want to use the pool this time - I think it was different coloured room cards or something, can anyone confirm? Thank you people have been voting cold due to their dislike of the mail. I had one comment removed. Popularity is indicative of popularity, nothing else. t doesn't equate to decent standards of honesty (and the Mail is dishonest) or just standards of decency. It appeals to people by reporting trashy celebrity news (and making some up when it has none to report) and playing on their fears (whether that's fear of cancer on their appallingly inaccurate health pages which are notorious among scientists or fear of immigrants and anybody 'other' in their op-eds and the way they slant the news). I'm well aware of its sales figures. That doesn't mean it's good or that its reporting is accurate (I admit they have done some good reporting, but you can't rely on the contents of The Mail being true). ​It's nothing to do with political neutrality or bias, it's about honesty, humanity and fairness. The Mail has none of those. All newspapers take a political stance. I have no issue with that. However, The Mail frequently disregards the truth and misrepresents fiction &amp; opinion as if they're journalism. Perhaps you would care to share your newspaper source that's unbiased and politic neutral and then I'll be as wise as all of you? The Mail lies about everything else - why wouldn't it lie about its alleged freebies? What free winnie the pooh book. Another packaging blunder no doubt. Grandchildren shattered! There's a Winnie The Pooh story by A.A.Milne where Kanga moves to the 100 Acre Wood. The others decide they don't like incomers so they all get together and abduct her baby in an attempt to frighten her away. I'm sure it appeals to the average Mail reader. This must be a website error - I've tried myself. I've emailed them about this specific issue - I'll post any response. Yeah, we also went for comfort plus which supposedly has heating in the bedrooms. Still good price compared to haven direct. I note that when trying to book a European holiday they've rigged the checkout process so you can't pay unless you pay the £15 "equipment damage waiver guarantee" even though the T&amp;Cs clearly state it's optional. Basically they've disabled the opt-out tick box so there's no way of going to checkout without it adding on the £15. They're starting to push their luck a bit with all these compulsory extra fees, especially when they're not mentioned in the T&amp;Cs of the promotion. not working for me, could someone please pm me 6 working codes for breakfreeholidays. Thanks. You have to buy the sodding paper to get the lights. If you wiped your a*se with the Daily Mail, more s*it would actually come off the paper. Who thought a string of fairy lights could get so political. You could always save yourself the cost of buying the Mail and head to your nearest Pound shop and buy an identical string for £1........only saying. ​yes but the celebration of Christmas or anything Christian surely us a complete anathema for the readers of this bile ridden misanthropic political rag and the lies printed within. Any Christian surely would head elsewhere for their supplies? I think you misunderstood the post. Its about christmas lights not content of paper. But please let us know all your political views because everyone wants to know them. Much as I like free stuff and advent calendars, I could never stoop so low as to buy the hate-filled Daily Mail. One for the UKIP supporters and their ilk. This weekend get your giant, glossy RSPB garden birds wallchart, FREE inside The Mail on Sunday. Would never give a penny to support the daily mail. A disgusting rag. People who live in glass houses s̶h̶o̶u̶l̶d̶n̶'̶t̶ ̶t̶h̶r̶o̶w̶ ̶s̶t̶o̶n̶e̶s̶ will love this. Sorry - that 'worth £270' claim is just a load of nonsense put out by the Mail and its associated companies. It's difficult to see how it's even worth the £54.95 they're charging for it, but it's certainly not worth any more than that. The Mail relies on the gullibility and stupidity of its readers to sell the paper, and once it's sold it to them they believe all the nonsense it prints - including the fake offers like this one. That's probably the main reason it's gone so cold - it's a rip-off 'deal'. Like the one they ran a couple of weeks back when they promised 'free' large jars of Marmite that didn't actually exist. Rather like anyone having the other opposite view is a 'Guardian reading Lefty' you mean? And let's not forget the Daily Mail's support for the Nazis when they were in power! Some good items in this if you know what you're looking at. Great chance to try new and well established products without paying for the full sized items. Typical replies, oh! To be enlightened and righteous and where anyone who has an opposite opinion is a Nazi. Hot from me, as I look at the deal. I agree about it not being popular due to the Daily Mail but I still think that £54.95 for £270 worth is a bargain IMHO no matter where it comes from. Each to their own though and I expect it to get ice cold but could help some people that want a premium advent calendar that is a bargain. Free Star Wars X-wing Fighter Lego toy in Saturday's Daily Mail Newspaper. Collect from WH Smiths. I wonder what some Daily Mail readers will think when they realise this x-wing is the black colour scheme instead of the traditional white one. Cool a free Xenophobic Wing. Had always wondered what the X stood for. No minimum spend instore, £30 spend when shopping online: * It’s that simple, just cut your voucher from the paper and take it in-store to save £5 on your next visit. There's no minimum spend and it's even valid on sale items. 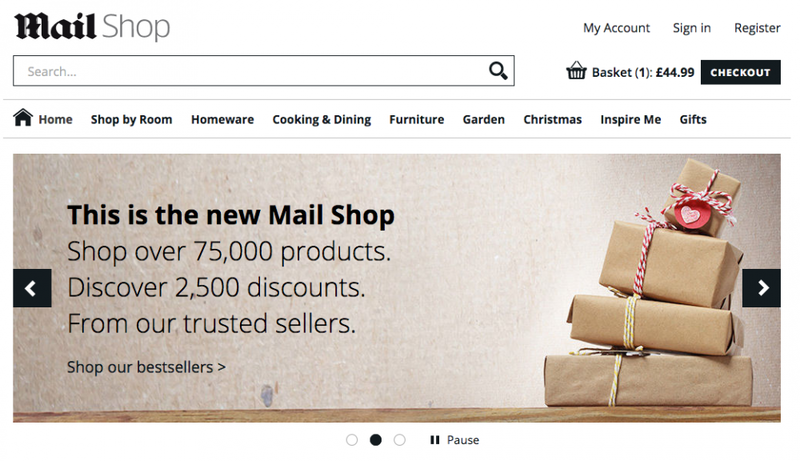 If you prefer to shop online, you can also save £5 when you spend £30 or more*. Said minimum 30 spend on the paper email. Can anyone confirm if the £5 off £35 is before other discounts or is the final total. I wonder would this work with the £10 meal deal ie take the discount off full price items ?? Like the idea of not having to buy their awful rag to get the offer! Got mine, will live in the glove compartment until the need arises to look at it. If the need doesn't arise until next year when it'll be replaced by the next edition, then I'll have to resign myself to living the rest of my life 80p worse off. People get conned into buying this by the Mail every year. Every year it's posted on HUKD, and every year people realise it's a totally useless atlas which serves no purpose whatever. Think about it. 9 miles to an inch. That's the distance from Dulwich to Hampstead, right across London from the south to the north in just one inch - what possible use is that to anyone using anything that isn't actually flying? Thank you - nice deal. When are people going to realise that this is supposed to be about money saving and leave the politics out of it!!! Available at Tesco, Sainsbury, Waitrose and Morrisons. Have a large Waitrose near me but they don't seem to stock this. Shame. Thanks for that. I just printed it and will go buy it later today. Nice find. Good price if it's what you need. I've used a lot of these over the years and usually got the cheap pound shop ones. Agreed they are absolute pants and only good for the light chicken wings or so, tried burgers on them and they take ages. Did like the convenience of no cleaning afterwards though. I've now invested in a proper oil drum BBQ and wouldn't go back! Shame I stocked up on loads of the pound shop ones but I can always use the charcoal from them. I would have thought the Wilko ones would be of slight better quality than the pound ones though. All instant barbecues are absolute dog-hsit! You need a SS grill to prevent food from simply sticking to it &amp; disintegrating. Dont bother when you can get a reusable tripod BBQ for under a fiver or a kettle BBQ for under £15. Print your European Championship guide. Simply download the two PDF links to get both sides of the wall chart. And enjoy the tournament. PDF in the title, 'Print your European Championship guide' &amp; 'Simply download the two PDF links' in the description. How did you miss those? oO Did seeing the words 'Daily Mail' send you into some sort of meltdown? Daily Mail and the Euro's? They'll have tippexed out anything not in the UK. I'd be concerned about leaving more than I'd pick up...may end up with a £1000 fine. The one in today's Metro will serve just as well - and actually be a freebie. Valid point indeed....sadly my printer is playing up tho...will just give the whole thing a miss...for now. There was a surprisingly good bit by Frankie Boyle I saw recently where he was saying that people came to his show and were offended by things he was saying...it's all subjective as to who gets offended by what, and here's a simple solution - if you don't like a certain newspaper, don't read it! It never ceases to amaze me how many people try to shove their own opinions down as though they're fact. It's all subjective. Just accept that some people read this paper, some don't; and move on. Some people find it a morally poor paper, some are happy to take the freebies (and hey, maybe even read the paper) and leave it at that. What seems to have happened where people now suddenly think their own opinion is fact?! You really should write for them. Your barely suppressed anger shines through. You seem nice. I'd love to reply to your comment, but as it's just the nonsensical ramblings of a half wit I don't really understand the point you're trying to make. Also "apologists" doesn't mean what you think it means. Have a nice day. I'm not Jewish why would I be embarrassed to use it? Stop arguing semantics. The reality is that it against the TOS, the store probably won't accept a voucher you've printed out yourself and you run the risk of embarrassment and/or disappointment when trying to use it. Says they have run out. Sorry this coupon is unavailable. Dove offer. You are lucky to get it. Not available in Penarth (s.wales). nothing in Aston either... they said they were gone by 9am...! Same here, just received today. Was beginning to give up hope so was amazed when a £5 voucher finally arrived! Pleased to say I've finally received a £5 WHS voucher. how do you reset the coupon printer - as it says max number already printed - probably from last time I printed a few months back. I have tried uninstalling and reinstalling but get the same message. All you need is one coupon,then photo copy it as many times as you want. Can't get their stupid coupon printer thing to work because you need to disable all security or something. What a stupid system that is just going to make people never want to use their site again. Voted hot just to spite you. Didn't think I had, glad you got yours though, I thought they might be fobbing everyone off but obviously not! My tickets arrived today. Did you make a mistake? Thank you for taking part in our ‘Free Cinema Ticket’ Promotion with The Mail on Sunday. As part of the promotion, we were obligated to verify the Lotto Ticket Number you entered. Unfortunately, following verification with Camelot, the Lotto Ticket Number that you entered (877402426**********) was invalid. We have therefore refunded the 100 Mail Points that you spent on this promotion. There are a few reasons why this may have happened: •	You may have mis-typed the ticket number •	You may have entered a Euromillions, Hot Picks or Thunderball ticket number instead of a Lotto Ticket Number •	You may have entered a ticket number from a draw outside 16th and 30th Jan We’re sorry that you weren’t successful this time around. Look out for the chance to win a free ticket in the Daily Mail soon! Same here. Besides the waiting to check the lotto code email. Applied for mine last Sunday, Not heard anything yet. Hi. Try the breakfree one if you having Probs. Http://www.breakfreeholidays.co.uk/plus/search/ I just booked my holiday and has exactly same parks dates and price as sun holidays and the daily mail! It's far easier but some people prefer to stick to what they know. I've booked back to back 3 and 4 night so I'm really chuffed. Ah - I just see one big box which allows 10 digits (with the codes being 12) ... on all browsers, but it's a work PC so maybe that's making things weird. From what I've seen they are the same parks as sun but for the dates I need I would have to pay £15 pp with the sun anyway so the mail is quicker and easier and I suppose you are getting booked before even the priority sun member as they can't book before Friday or Saturday I think! I got one today from M&amp;S but it doesn't include food, just clothing &amp; homeware. May be different in other M&amp;S stores. M&amp;S are also giving the voucher in stores with any purchase voucher is valid for use in store from 2nd Jan with a validity of about 3 weeks. Do you think that they would have let you use two? I got two, maybe I'll just have to see when I go tomorrow. Check out the terms: This voucher is valid for use in store until 1st December 2015.... which mean, out of date? Does any one have the newspaper? Please could someone let me know what page the voucher is on and what the T&amp;Cs say. I checked the body shop website and it doesnt say anything. Thanks, a bit late to the party though. It was already pointed out in comment number #12 'incredible that' would have been the appropriate word choice. Sorry you are suffering from insomnia. The point is - as you yourself actually reiterated with that dictionary c&amp;p - that "Incredulous" is what sentient beings may or may not be; inanimate objects or concepts can only be incredible (or otherwise). I couldn't sleep, so I thought I'd help out/annoy (delete as applicable). aye, did your dad send you down the pit instead of to school to learn about the difference between your and you're? Must have been a big box then ! I got different Lego sets to those pictured what did others get? Got the Joker car thing and randomly, a lego friends one as well. Just bought the paper, the guy cut the coupon out and gave me the paper and lego. Chucked the paper as soon as i left the shop. Voting cold because there's not a store close by,dear oh dear. Better to just buy an actual Haribo pack and avoid that Mail garbage. And you have won the internet today. Best comment ever. Only if the shop runs out of stock they should give card with the address on. True - although I did see something about using 600 Mail points to get the Lego via Mail Rewards? Do you have to redeem it in whsmiths by today? Only just remembered this deal now, I can get the DM but whsmiths will be closed by now. I'm not sure if you can send off this time. The voucher doesn't have any name and address details like the previous promotions. 'Please accept the download of our Secure Print@Home software in order to continue' You have to download software to print? No thanks. Save electricity,paper,ink,printer (if you don't have one) - use the one at college/work place. :) Or if no printer,can print it in the library.Think normally is 10p per printout. Great for adults or children. Truly awful - looks like it was drawn by a child. They also have a migrant ship to colour in on page four. can imagine the deals section of hukd walking up to this freebies post like "you don't belong in this area, homes." £86 for a year for joint. So this is for once only use on a single visit? 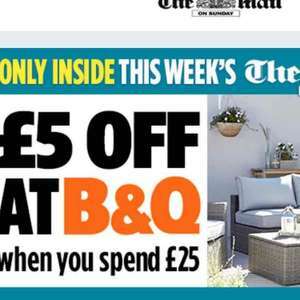 I think you are probably better off paying full price for both memberships as it means you don't have to buy the mail. Daily Mail - 90p on Saturdays.